Manchester Imaging, a dental diagnostic software company, today announced that it has raised a £600,000 investment from Catapult Venture’s GM&C Life Sciences Fund and NPIF – Mercia Equity Finance, which is managed by Mercia Fund Managers, part of the Northern Powerhouse Investment Fund. The investment will support the development and commercial launch of the company’s first suite of software products that uses machine learning and computer vision processes to automatically detect the very early signs of tooth decay, which can go unseen by dentists. 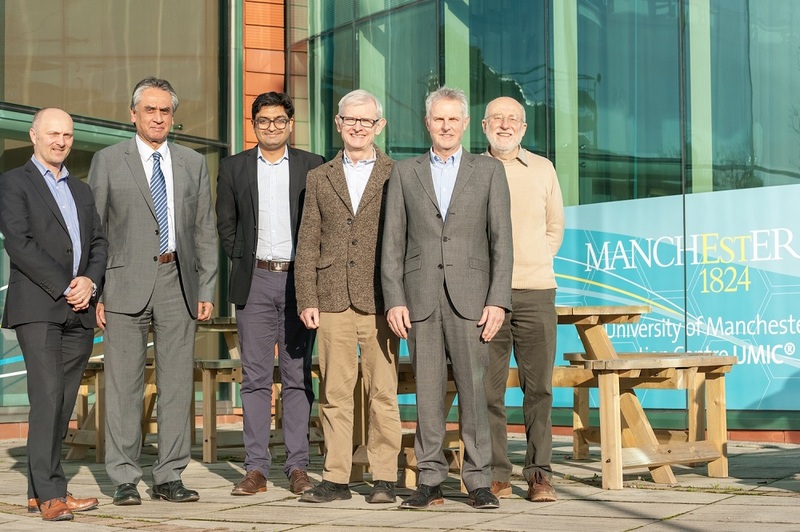 Manchester Imaging, a spin-out of The University of Manchester by its agent for IP commercialisation, UMI3 Ltd, is based on more than a decade of academic collaboration between Professor Hugh Devlin, Professor of Restorative Dentistry, and Dr Jim Graham, Honorary Reader in the Centre for Imaging Science. In addition to the investment, Kevin D’Silva, a Venture Partner with Catapult Ventures, will join the board of Manchester Imaging as non-executive Chairman. Kevin has held a number of non-executive and Chairman positions, including Monica Healthcare (acquired by GE Healthcare), Crystallon (acquired by Judges Scientific), and Imorphics (acquired by Stryker Corporation). He is also a Director and former Chairman of both Surface Transforms plc (AIM listed) and Hallmarq Veterinary Imaging Ltd. Kevin was a founding director of Ferraris Group plc (FTSE: listed) and created Salusinvest in 2006 to invest in a number of EU and US life science businesses. Photo Caption; Left to right, Dr Mark Wyatt (Investment Director, Mercia Fund Managers), Kevin D’Silva (Chairman, Manchester Imaging), Dr Ashish Patel (Investment Manager, Mercia Technologies), Professor Hugh Devlin (Professor Restorative Dentistry, University of Manchester and Clinical Director, Manchester Imaging), Tony Travers (CEO, Manchester Imaging) and Dr Jim Graham (Honorary Reader Centre for Imaging Science, University of Manchester and Technical Director, Manchester Imaging).